Evarich Company develops unique technology as foil embossing printing effect, 3D laser cutting effect, silicon printing effect and TPU printing effect, also PU elegant series to apply our unique stationery that gets hot sale in the stationery market. 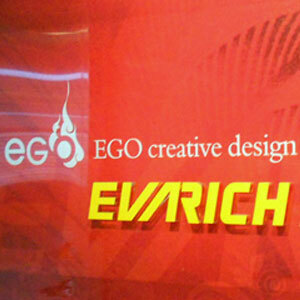 Evarich founded in 1997, Evarich is specialized in design & manufacturing paper stationery. Evarich owns a professional design department to develop new designs and special cover technology regularly for customer's option. Evarich also offer OEM & ODM service for customer's design. We also pass ISO 9001 certificate & related certificate. Evarich serve our customers all over the world, especially in USA and Europe. Evarich not only has design department but also owns the completed factory for printing and notebook finished process in-house, also passed through Walmart, Staples, Target, Disney factory audit. Evarich's quality policy is to ensure the high quality, in accordance with the legal, product safety, and meet customer needs.